Lectures, workshops and tutorials take place in our fully equipped labs and studios. 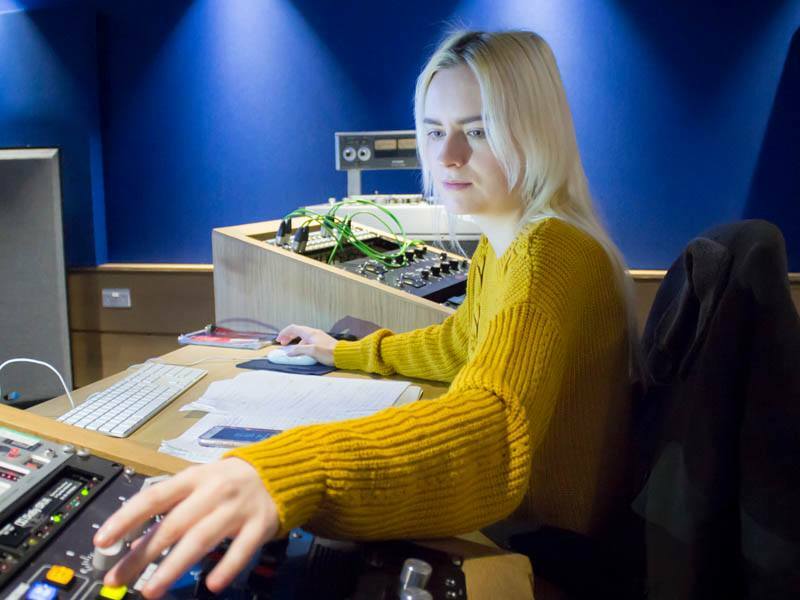 Flexible access to studio and practical facilities, allow students to establish, practice and develop their work using professional level hardware and software. Relevant hardware and software training will be provided during studio, workshop and lecture sessions to support student work at all levels. Throughout the programme you will be assessed primarily on your creative output, with an emphasis on practical submissions accompanied by presentations and written work in the form of supporting documentation and essays. Practical exercises and studio driving tests during studio or workshop based sessions will be used as a means for you to monitor your progress along the way in order to help develop more formal assessment work. Regular tutorials, group workshops and seminars allow students to seek advice, get valuable feedback and monitor your development across all aspects of the programme. You will study at our Riverside Campus, located in the centre of Manchester. As part of your course, some of your lessons may take place at our filming facility, Futureworks Studios located in MediaCityUK, a few miles from the city centre. Futureworks recognises that the skill and contribution of its teaching staff are vital to the delivery of high quality Higher Education. All programmes are managed by a dedicated Programme Leader and team of experienced tutors. Our excellent links with industry employers mean you’ll have access to exciting guest lectures and fantastic opportunities to gain experience on real-world projects.